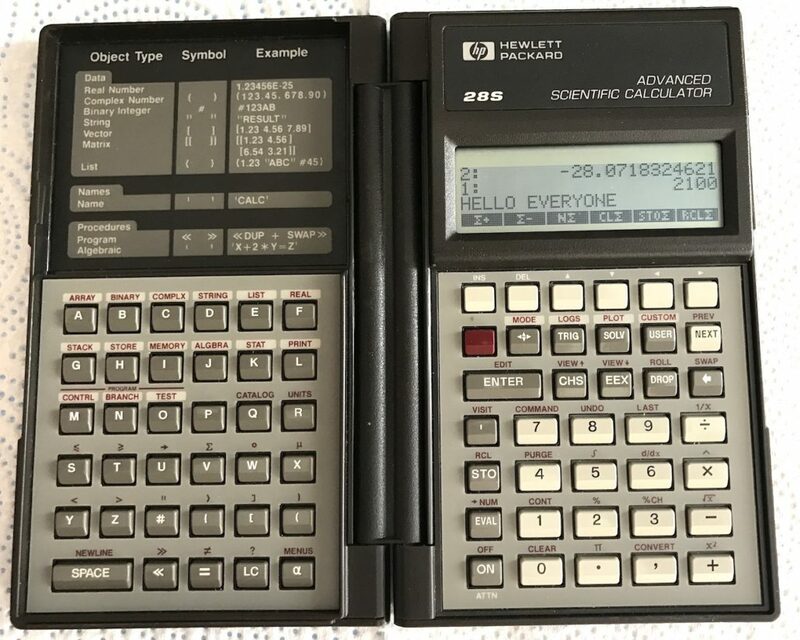 Today’s calculation device is this lovely vintage HP-28S “advanced scientific” calculator from the late 1980s. As a working calculator, it’s not my favorite. HP gets points for creativity, but the clamshell design makes for an awkward user experience. I’m finding it frustrating to use because each line on the display is hard to read, there are too many keys, and the visual cues are subtle. It is also hard to pry the clamshell open. The keys do have a nice clickiness to them. If you are doing basic math, you can fold the alphanumeric left part of the clamshell behind the right part. Functionally, the HP-28 series is also innovative, as it’s where HP first exposed RPL to the user. RPL is Reverse Polish Lisp, a next-generation RPN, or Reverse Polish Notation, designed to handle complex algebraic expressions. 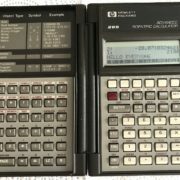 While I don’t use it often, the HP-28S is a prized member of my extensive collection of vintage calculators. My goal is to keep using all the devices (well, at least, the ones that still function) because it’s more fun than simply looking at them.